We love cute novelty knits, but they can be a bit challenging. Material Girl Debbie had some clever, creative solutions when she made this stylish top! 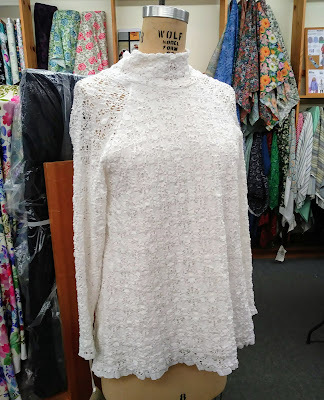 Since this open knit is a little sheer, she lined the front and back with a solid jersey knit. To avoid troublesome hemming, she cut the whole top on the cross grain and used the fabric's tidy selvage on the edge. 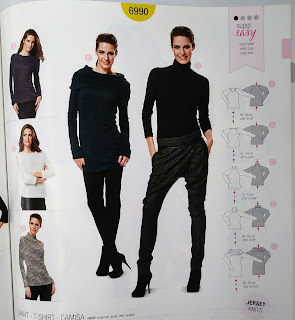 Debbie used Burda 6990, a basic knit pullover with a great shape.